Cody & Bj Productions Inc.
Cody & Bj Productions Inc has been in business since 1992. Cody& Bj have brought their fun, high energy, live rock and roll shows to thousands of kids. Knowing that kids would rather be in the show than watch the show, Cody & Bj have created a unique musical experience that allows many kids in the audience to become the stars of the show! Music being the universal language allows kids from everywhere to enjoy the fun and excitement of live music created expecially for them. Song lyrics are appropriate for any age and written to encourage love for our planet and respect for all living things. 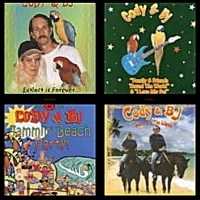 Cody & Bj expanded their business in 2001 to include their Kids Rock Duo performers. 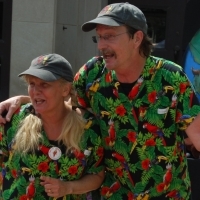 After extensive training and rehersal, Kid Rock Duo goes out and performs Cody & Bj's shows.